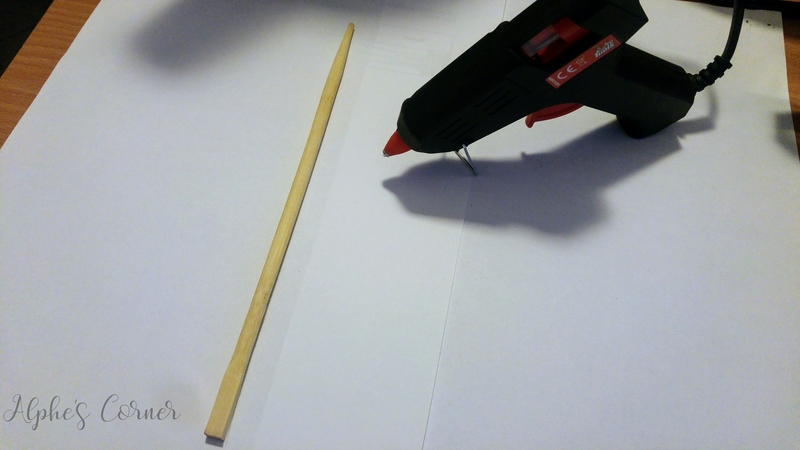 Heat up the glue gun. 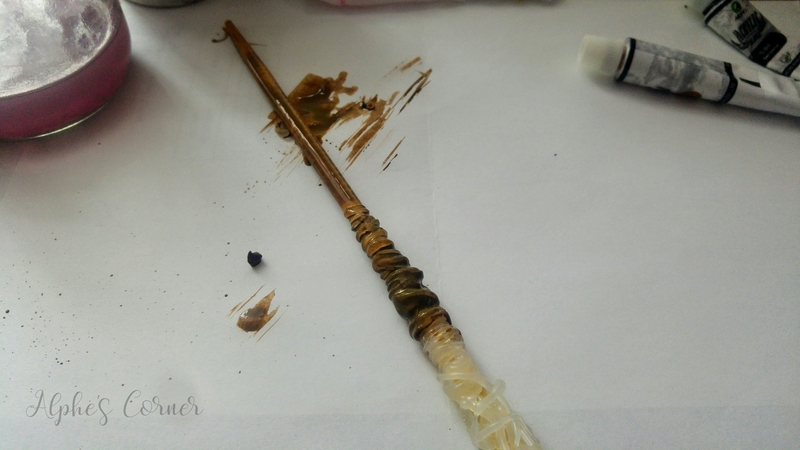 Holding the chopstick in your fingers on the thinner side, apply glue around the thicker end and towards the middle. 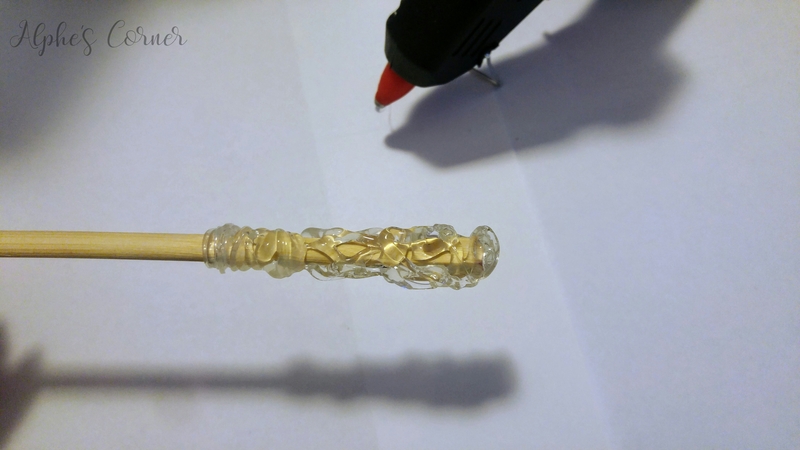 Add more layers near the end of the chopstick and less in the middle. 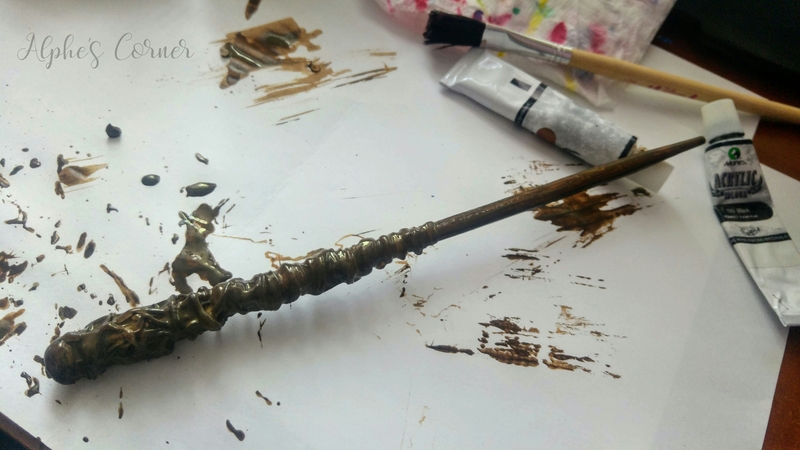 Don’t worry if it looks messy – wands are supposed to be made out of raw wood, they can’t be perfectly smooth! 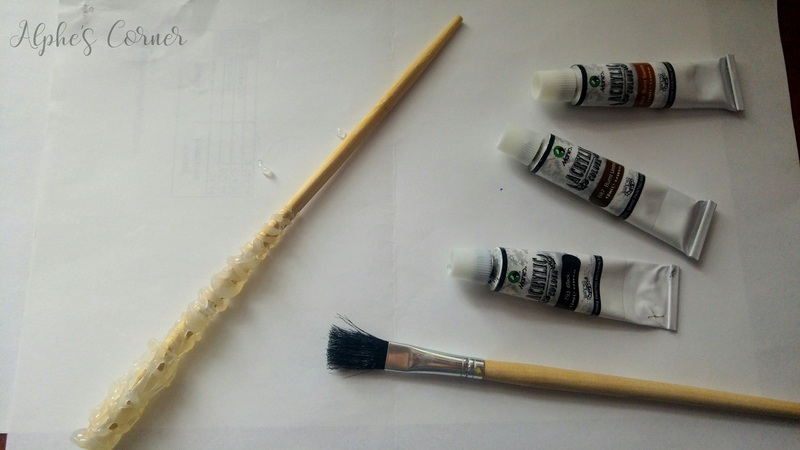 Once you have a few layers or glue around the handle and you’re happy with the way it looks, let the glue fully set and cool down. 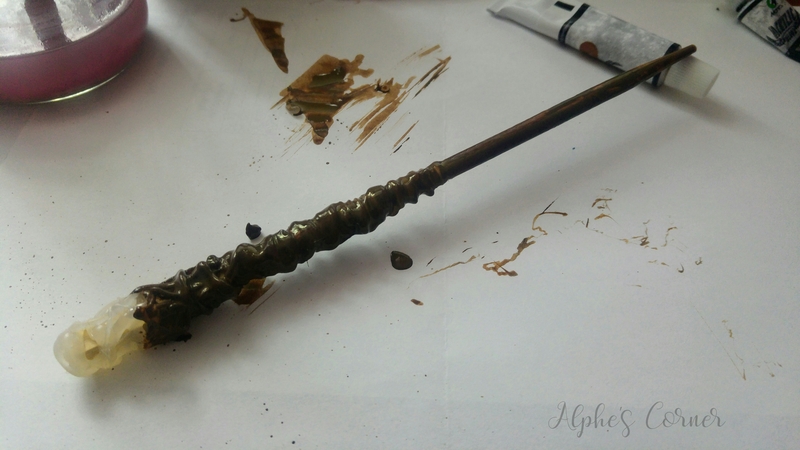 When the glue is fully set and cooled down, paint over the whole wand with acrylic paints. 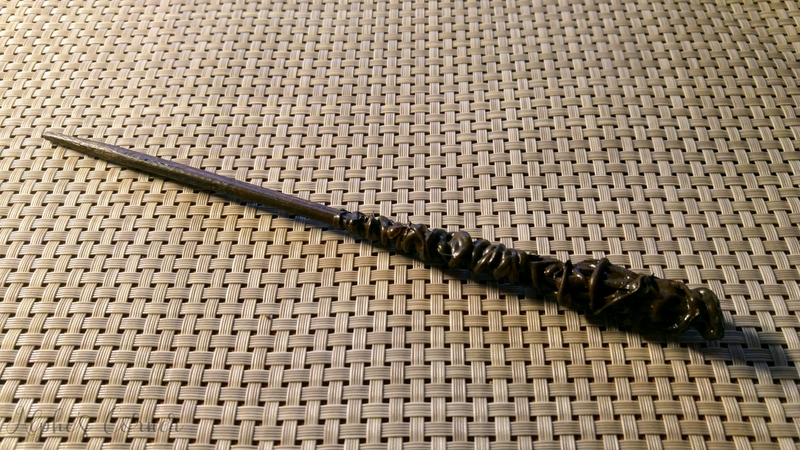 Nice wand! 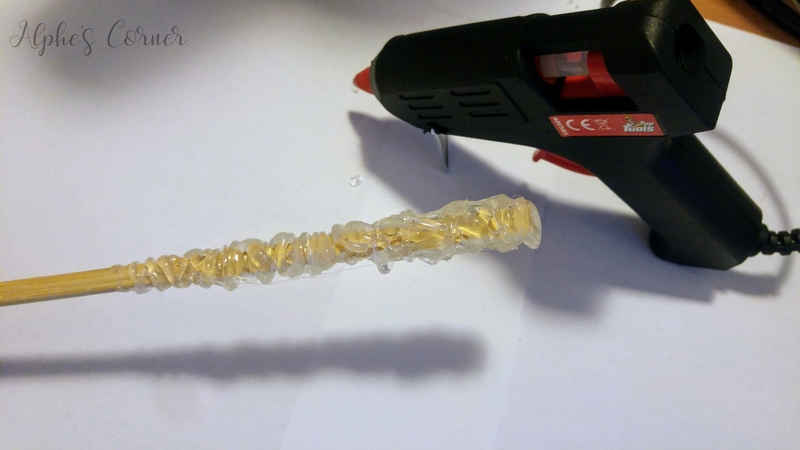 I think the hot glue gun is really useful, but I don’t own one. Oh I love the festivity! We don’t have any of those colourful celebrations on the streets (which I guess is partly due to the weather, carnival period is still rather snowy and cold here). That is totally Awesome!!! Right up there with the Flying Monkeys!! Oh boy is my grandson going to love this! Working your magic once again! LOL I so hear you!! Amazing finish. Creativity is magic. Oh wow!! It turned out so cool. I was expecting so many more steps. Once again, you amaze me! Love the look 🙂 And so easy too. 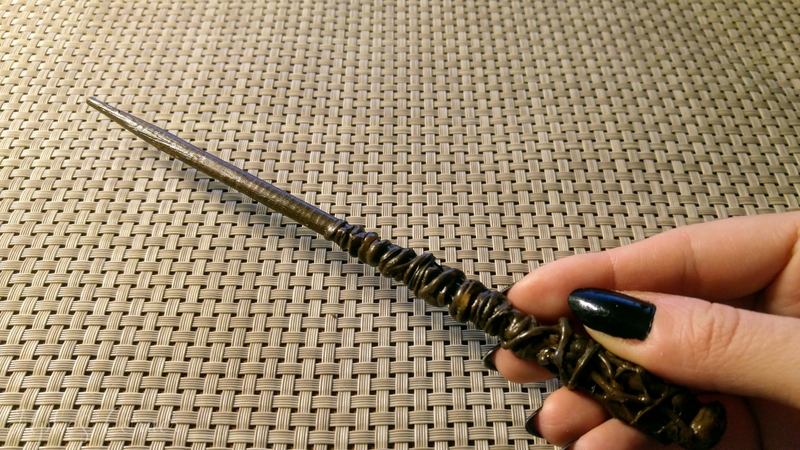 I do some Harry Potter DIYs and would love for you to check them out.